Participating organizations and the public are invited to attend. No cost. Increasingly, cyber security impacts our daily lives. Defending against cyber-attacks is mission critical for businesses, organizations, schools, universities, governments and citizens. The Pennsylvania State Police are working 24/7/365 to protect Pennsylvanians against all kinds of attacks: existing, new and emerging threats. The State Police also prosecute civil and criminal cyber-security violations. As a direct result, the State Police are at the forefront in the fight against cybercrime. To give you the most current information on threats, solutions and prevention strategies, the Monroe Gigabit Project is very pleased to bring two leading experts from the Pennsylvania State Police. On Thursday, April 13th, please join us to hear Pennsylvania State Troopers James Ford and Patrick Dawe of the Southeast Computer Crime Unit provide an important 2017 cyber security update. For the April 13th meeting, TV, video and radio contacts: Elizabeth Richardson, ESU, at 570-422-3139, and/or David Parker at 570-656-9232. 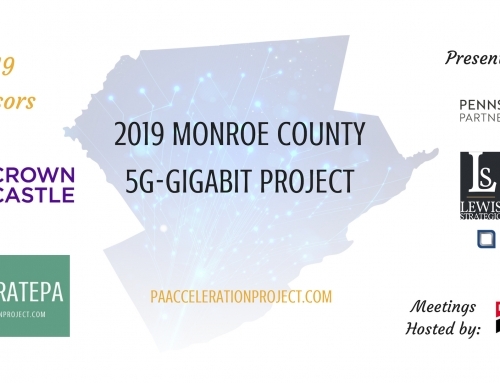 Through June 2017, monthly Monroe Gigabit Project meetings are hosted by the Monroe 2030 Action Team, Pocono Mountains Economic Development Corporation, and East Stroudsburg University. The ESU Innovation Center, which houses a state-of-the-art business accelerator, is located 500 yards from Interstate-80 and 70 miles from NYC. Cyber Security Update: Part II will focus on small organizations: businesses, local governments, and non-profits. It will take place Friday, May 12, 2017 at ESU’s Innovation Center. Additionally, we’ve added a June Monroe Gigabit Project meeting date for Thursday, June 8, 2017. Register here for all upcoming meetings. For more information contact: David Parker at David@LewisStrategic.com or570-656-9232. To register for upcoming Monroe Gigabit Project meetings on April 13, May 12, and June 8, 2017, visit https://quantum.esu.edu/machform/view.php?id=168240. AcceleratePA is an implementation team speeding broadband, workforce and innovation initiatives across Pennsylvania. 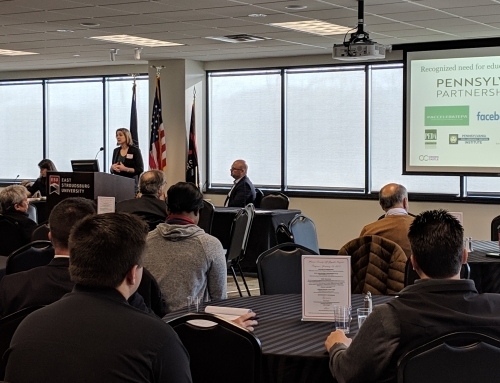 The Broadband Implementation team of Dellicker Strategies, Business Information Group and Lewis Strategic has successfully completed nearly 100 regional broadband projects in Pennsylvania and surrounding states. Since 2003, industry-pioneer Dellicker Strategies has led broadband aggregation projects for schools, intermediate units, hospitals, doctors, corporations, agencies and communities. For additional information visit our website, www.PAaccelerationProject.com, and follow Accelerate Pennsylvania on Twitter @AcceleratePenna, Facebook @AcceleratePA and find us on LinkedIn.